Every morning, even before we pour our first cup of coffee, we check our emails. This one morning we had an enquiry sitting from Keely and Jason and as we read further down our eyes got bigger and bigger and we just looked at each other in such excitement. 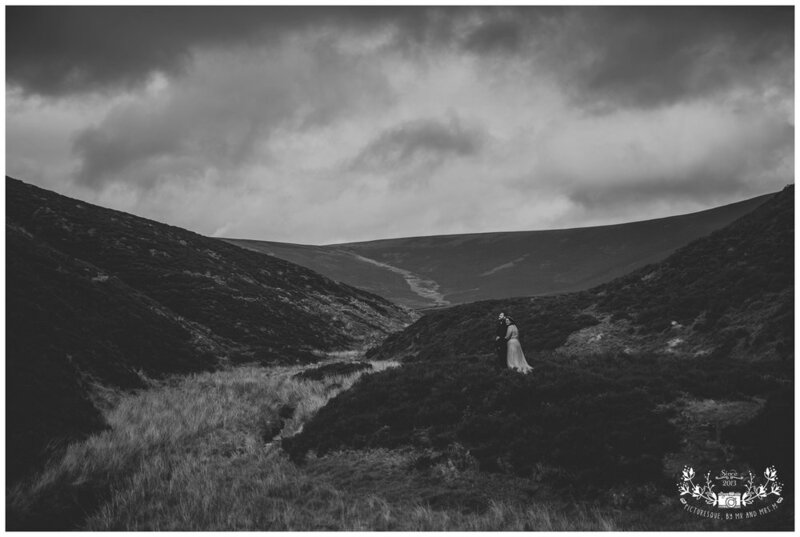 Keely and Jason explained that they were travelling over from Australia to elope in the Cairngorms, it was just to be the two of them with their humanist and they loved our work and because there's two of us would we also be their witnesses? 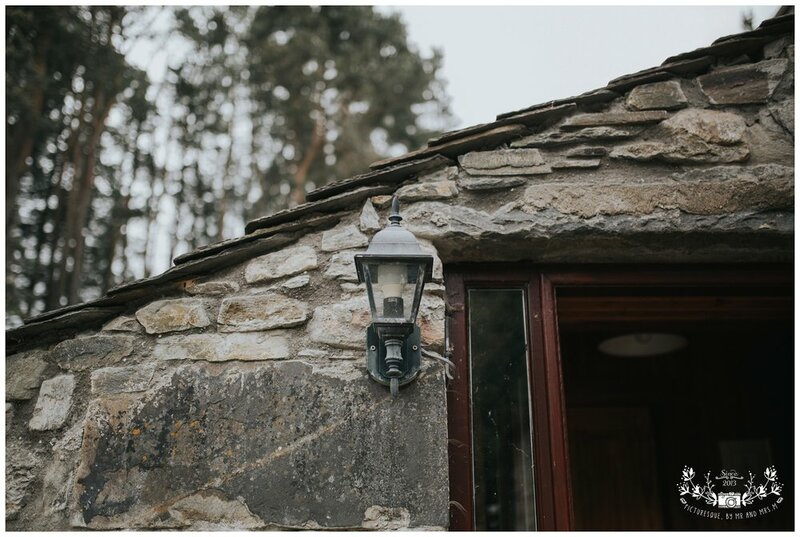 As photographers, there's certain things you want to tick off your list of goals and photographing an elopement was one of ours. We were so freaking excited and had to try and calm ourselves to reply back and not sound like nutters! We sent back a very enthusiastic reply and waited........we didn't hear anything for a couple of weeks and thought we had missed out but finally we did get the email saying they wanted to book us and it's just quite difficult to organise everything from another country so sorry for the delay - are we still available? Hell yes! 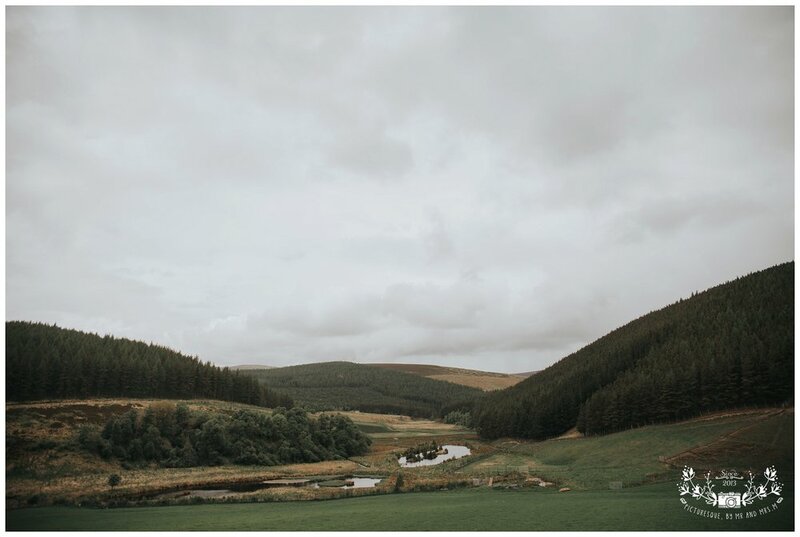 Keely and Jason were getting married at a cottage just outside of a wee village called Tomintoul in the Cairngorms. We're familiar with the area as Grandad Picturesque used to work in Aberdeenshire but we'd never been to that part specifically, so we arranged a weekend away with the Picturesque minis to Aviemore and on our way home took a detour past Tomintoul and the super sweet Wild Farm Cottage where our couple were going to be staying. We're really glad we did because honestly this place is in the middle of nowhere - it takes rural to a whole other level! 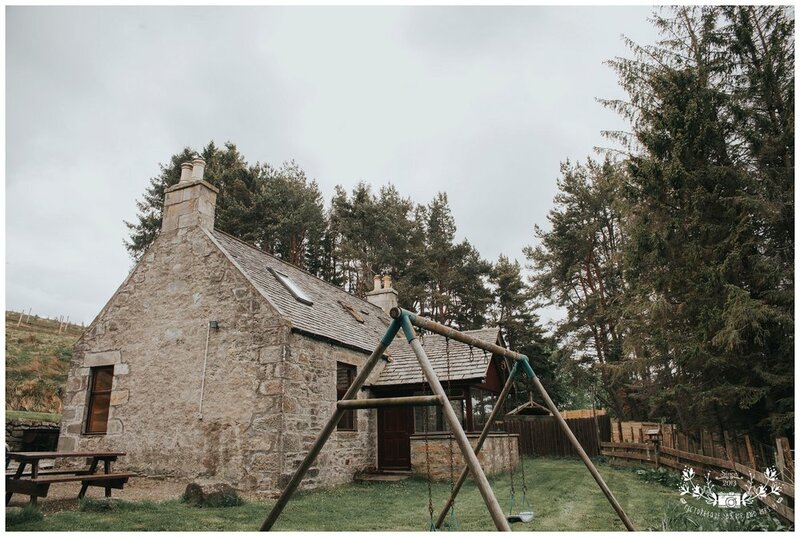 We started to doubt ourselves as we had to open and close deer gates along a bumpy little track, but we came across the cottage nestled in the most stunning location. Our hearts were doing a happy dance. We seriously could not wait for the day to come. We helped them get ready and as Bryan was photographing Jason getting into his suit I helped Keely get dressed and snapped some detail pictures at the same time. Keely had bought a lovely bunch of flowers so I fashioned them into a bouquet for her and I also had the job of ringbearer (total respect for every best man now - that's some responsibility!). The sky was looking a bit ominious with dark clouds so the ceremony was held back a bit as the rain started to pelt down. It did eventually stop and we headed out while it looked like we had a good shot at the ceremony but alas 5 minutes in the heavens opened again. It didn't matter one bit - we all got soaked through to the skin, but the atmosphere it created with just the 5 of us on a hillside was so magical. 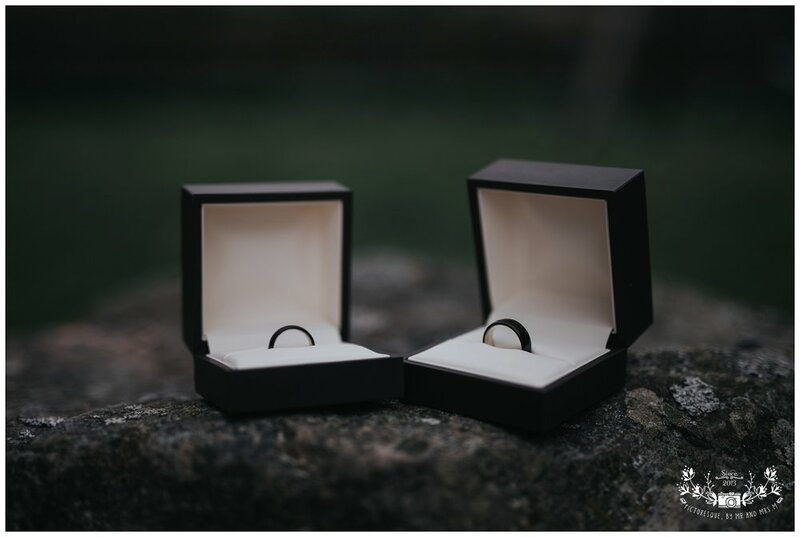 We've never felt so honoured to watch two people get married, it was incredibly emotional. Halde Pottinger was there as their Humanist Celebrant and he did an amazing job of their ceremony. He really brought their story to life and it was an emotional but also fun and lively ceremony, afterwards he brought some Scottish tradition by explaining the story behind drinking from the quaich and asking Keely and Jason to enjoy some whisky. After the I do's were said we headed indoors to sign the legal documents, again an incredible honour. Then we took Keely and Jason away for their bridal portraits to some spots we had scouted out on our family trip up the month before. Pictures speak a thousand words so we'll let them do the talking on that front. 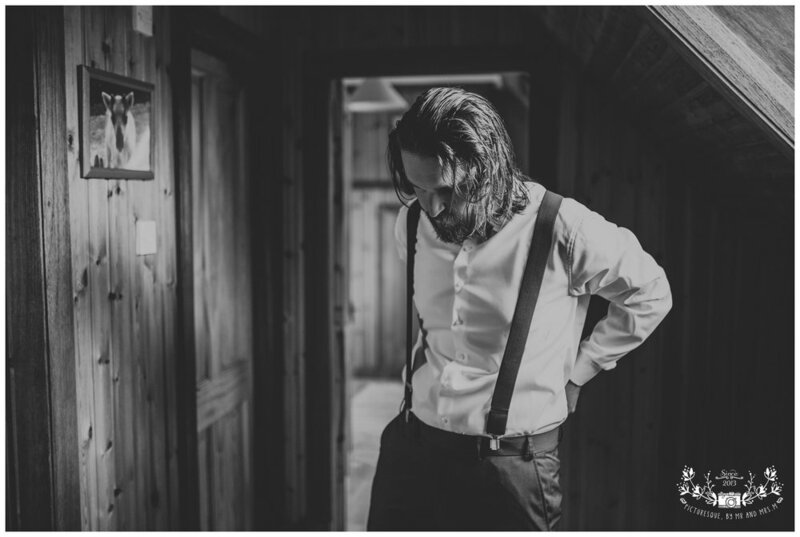 Keely and Jason, we said it a thousand times on the day, but it was such an honour to be involved in such a special occasion, you are an amazing couple who made things so easy for us and it really shows in the images, you were just perfect! This will forever be a real highlight of our photography career. Thank you.